They say that people come into your life for a reason. Whether you know that reason right away or it takes a little while to figure it out is dependent upon the situation but regardless, every person you meet is meant to be there. 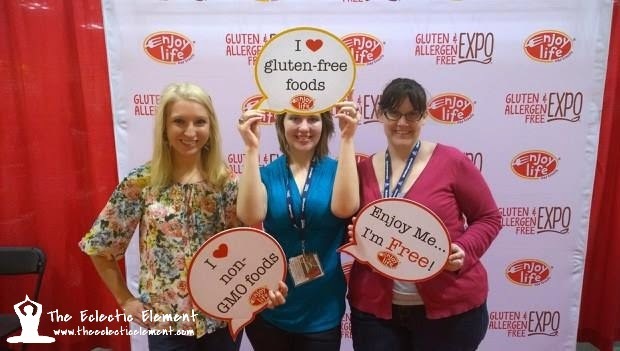 I first met Ashley of Crunchy Frugalista through a mutual friend when I went to Chicago for BlogHer 2013. We spent the day wandering around Chicago and enjoying the sights and not only did I meet a fellow blogger, I met a friend. Not only is she a fellow blogger but she also knows the value and fragility of health from personal experience; initially I didn't know much about her and her daughter's situation, but once I started following her blog and their struggles, I was quickly filled in. Bayla, Ashley's daughter, has severe food allergies and skin infections that nobody really knows the root cause. She's been dealing with poor health all her life but the last 4 years have been particularly rough and it seems to be getting worse instead of better. Ashley writes, "her little body is fighting and having allergic reactions to more and more things. Sometimes her skin hurts so badly that she isn't able to physically smile or laugh. When tears roll down her face they leave streaks of white because even the light pressure of her tears causes her skin to react. We lay her little head down at night worrying that one morning she might be gone because her little body can't handle the fight anymore." The worst part about this all is that Bayla is only 11 years old and has not really been able to enjoy her childhood like kids are meant to. Of course chronic illness is devastating no matter what the age of a person but illness in children holds a special place in my heart. Most of my readers know that I was only 14 when I initially got sick so I understand what it's like to have your world turned upside down at an early age. Thankfully I was able to have a normal childhood a little longer than beautiful Bayla here but despite that, being ill makes you grow up extremely fast. 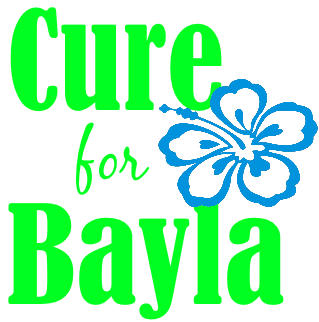 Unfortunately the last 4 hospitalizations for Bayla in the last 18 months have garnered very little answers and like any determined mother, Ashley is looking elsewhere for those much desired answers to help her daughter. Thankfully, after a lot of up-in-the-air unknowns, they finally have a solid appointment for October 13th with the National Jewish Hospital in Denver, Colorado! That also means they have less than 2 weeks to raise the money to get there. 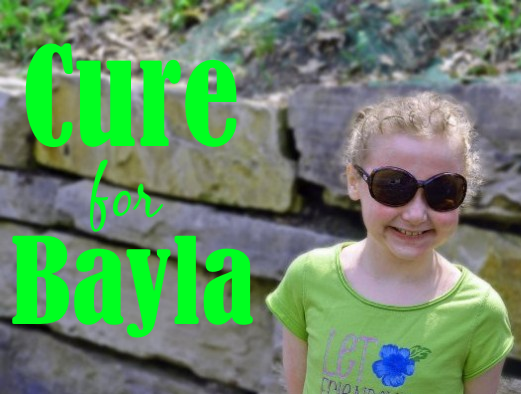 If this story resonates with you and you'd like to help Bayla get the medical care that could give her her childhood back, donate to the Help Find a Cure for Bayla fund. Even as little as a $1 goes a long way! If you can't donate but still would love to help the cause, feel free to retweet the tweet below or share across your other social media channels. This touched my heart, Kayla. Thanks for sharing. I will place the button on my blog and will pass the news on to other concerned individuals.